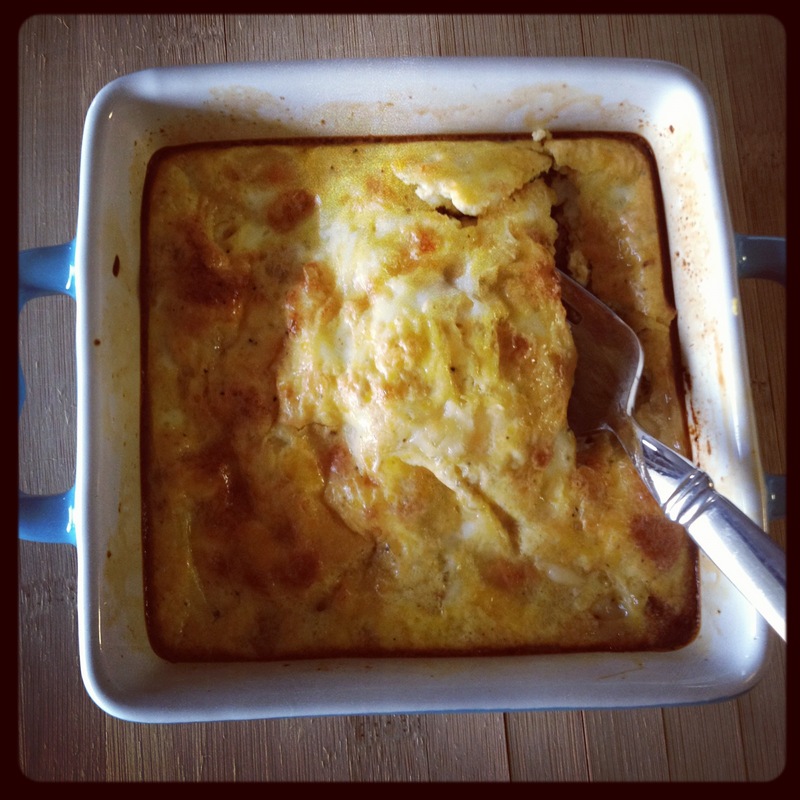 Good for brunch or light dinner. A bit high in sodium. Consider low salt ham. I’ve been counting calories lately and overall looking for more balanced nutrition. A friend suggested I give up carbs, especially wheat, but I’m not quite ready. This afternoon I wanted something satiating, slightly comfort-foody, and of course quick. As usual I raided my pantry for what I had, which this time included one neatly wrapped bundle of Blue Dragon Soba Noodles (Japanese-style noodles made in China, but I digress). I checked the nutrition facts and a serving was a whopping 436 calories. However, the serving suggestion was 1/2 of a package, or 125 grams. Using my handy food scale, I weighed out one bundle, about 75 grams. Sounded like a better serving size to me! Noodles alone were not going to cut it, so I wanted some sort of sauce. 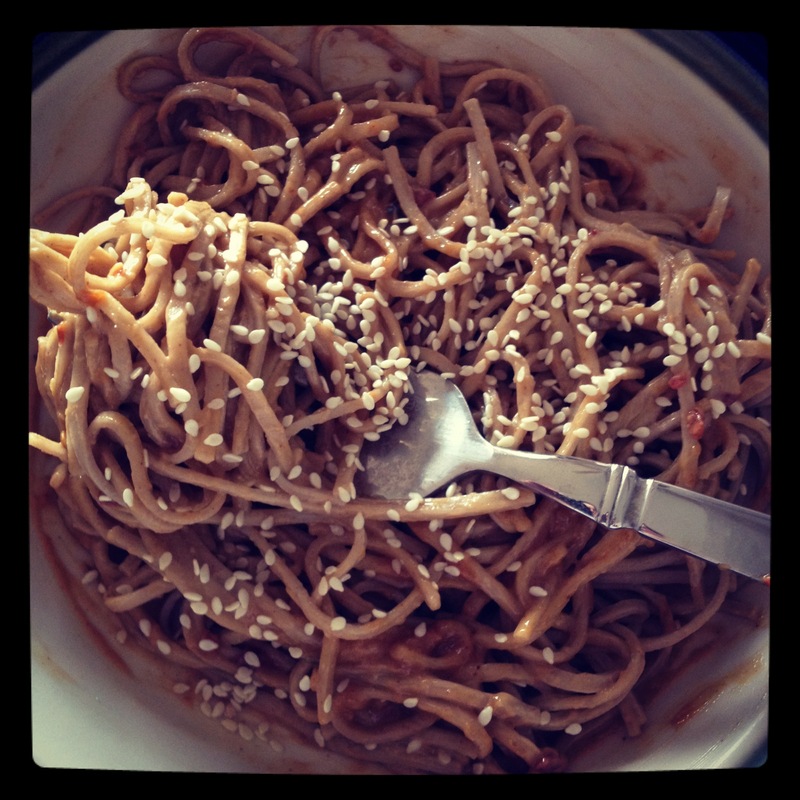 I do love me some peanut noodles, so I decided to modify the peanut sauce I often make when I am cooking Asian meals. I was pretty happy with the results and the whole lunch only took me about 15 minutes to prepare. Overall, I am happy with the nutrition of the dish, except it is a bit high in sodium due to the soy sauce I used. I may try to omit the soy sauce and add a bit of water to thin the sauce. My love of bargain hunting is not secret. There are many things in this world that I think you can find at a great price, if you’re willing to go to some less than glamorous places to look. This is one of the reasons I frequent National Wholesale Liquidators. Aside from the fact there is a location about two minutes from my place, you can find a boatload of stuff for cheap. 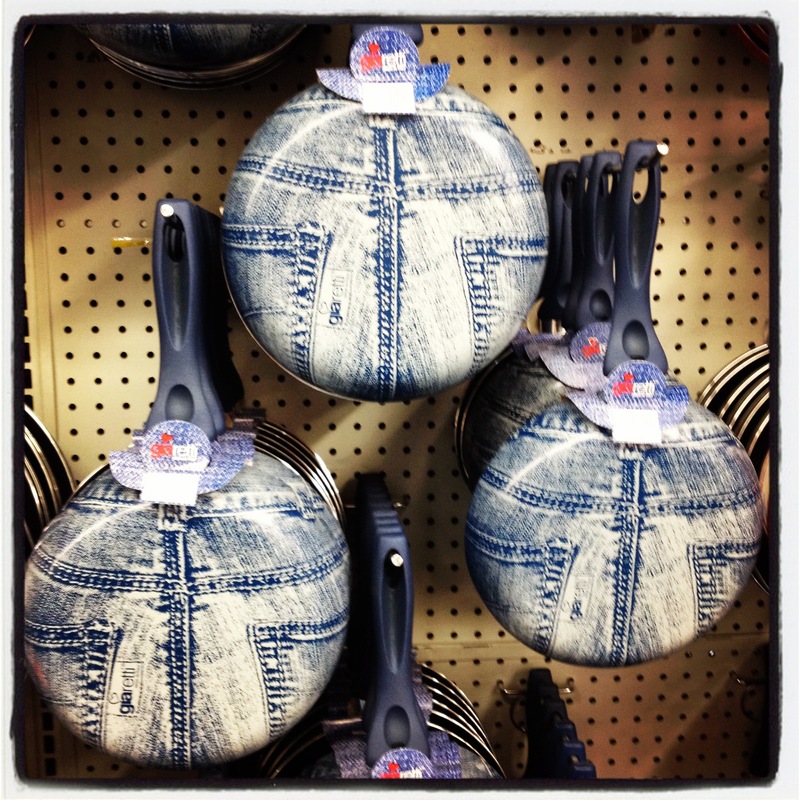 As with many liquidation centers, their inventory is always changing, so I like to peruse the store every now and then to see what’s new, particularly in kitchen wares. As I contemplated if I needed the square griddle pan that was less than 20 bucks, I stumbled upon these gems, courtesy of Italian cookware company Giaretti. Let the puns begin! Is that a sausage in your pocket or you just happy to see me? 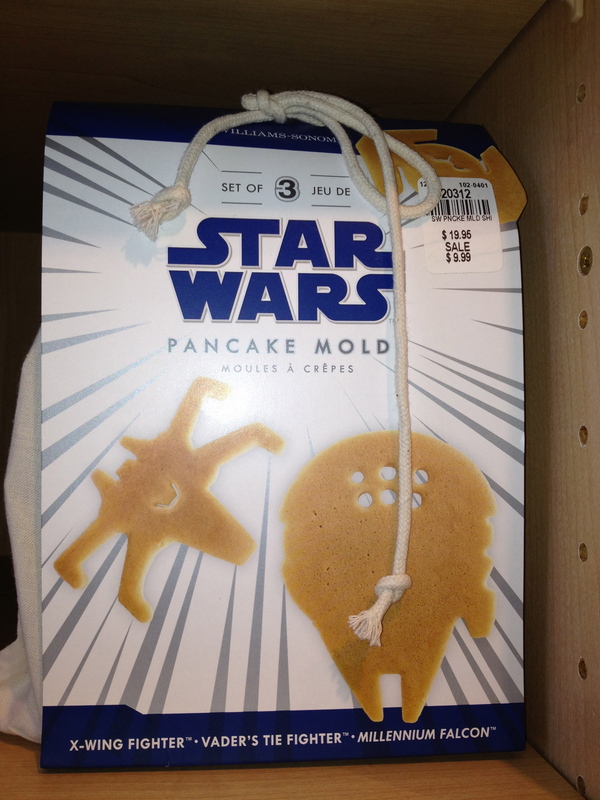 Star Wars Pancake Mold. 20 bucks. Speechless. I am often asked what my specialty in cooking is. 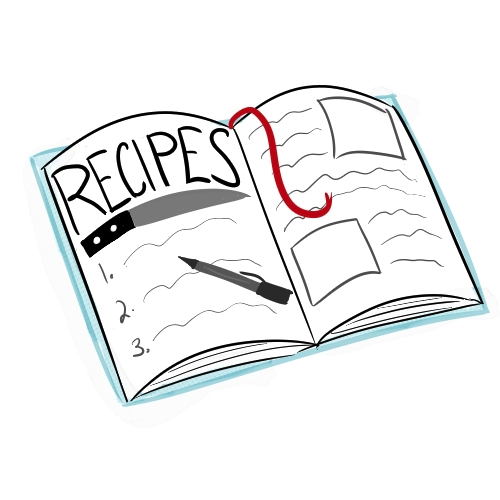 Everyone who loves to cook, and even those who do not, or do not have a knack for it, seem to have a specialty. 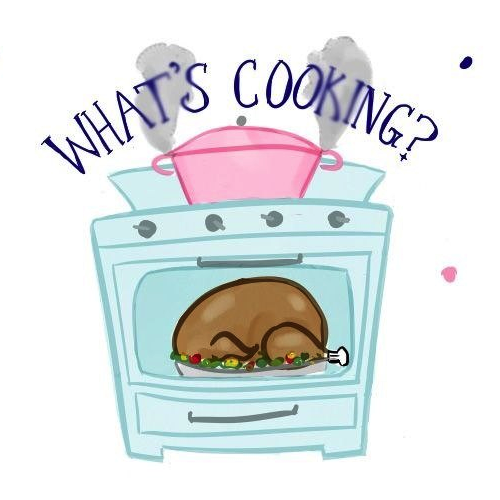 My thing is I feel I can cook just about anything, and I love trying out new recipes and methods. With Mother’s Day upon us, it hit me that I do have a meal I enjoy preparing and hosting more than any other – BRUNCH! There is something so versatile about this meal, giving its preparer some wonderful creative freedom…yet there still seem to be rules. You want to include some breakfast foods, you want to include some lunch foods…and even better, find a marriage of both. Tomorrow I will be hosting my family here in my home for Mother’s Day. My own mother has never been a fan of going out to restaurants on the day itself – restaurants are overcrowded, quality is poor, prices are jacked up, etc. She prefers intimate meals at home. I can deliver. Be on the lookout for some of my brunch ideas as time goes on.